Michigan looks to avenge one of the most painful losses in a season full of frustrating defeats. Michigan coasted to a 17 point lead early in the first match-up before the wheels fell off. Michigan began turning the ball over constantly and Drew Crawford caught fire from three point range. As we are all familiar with by this point, Northwestern epitomizes the perimeter oriented team. They shoot 47.9% of their shots from three point range at a 36.1% clip and they turn it over on 17.3% of their possessions. They don’t crash the glass (29.7 OR%) and they don’t get to the line much. Considering we have our own perimeter oriented team here, we know all too well that when the shots are falling, things are rosy and when they aren’t it can get ugly. Defensively, Northwestern runs the 1-3-1 zone very well. Jeremy Nash is extraordinary at playing at the top of the 1-3-1 and forcing turnovers. On the year, Northwestern’s defense hasn’t been extraordinary. They rank 100th in Pomeroy’s adjusted defensive efficiency and don’t stand out in any of the four factors. The bad news for Michigan is that Northwestern does a great job defending the three, holding opponents to 29.8% three point shooting. 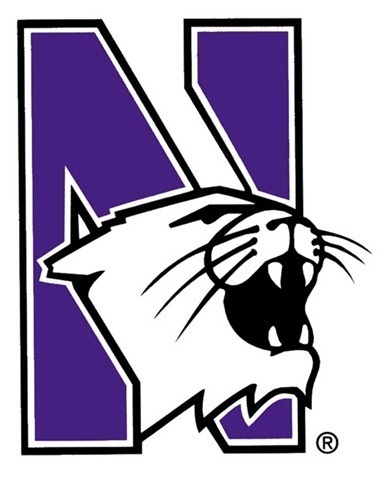 Northwestern freshman Drew Crawford scored 25 points on 9 shots in Ann ArborPersonnel wise, the three biggest concerns are John Shurna, Michael Thompson, and Drew Crawford. Shurna, a 6-foot-8 forward, is averaging 18 points and 7 rebounds per game while shooting 34.4% from three point range. Michigan did a pretty good job of holding Shurna in check in the first match-up, holding him to 11 points on 14 shots. The Wildcat’s point guard, Thompson, is a deadly three point shooter knocking down just under 40% of his attempts. But it was Drew Crawford that lit up Michigan in the first game, the freshman shot 7 of 9 from the field for 25 and snagged 8 rebounds to boot. The keys for Michigan are pretty simple: defend the three point shot and don’t turn the ball over. Michigan has played significantly better defense since that Northwestern game, which gives me a bit of hope that they can slow the Wildcats offense. The problem is that Michigan has been turning the ball over a lot in conference play, turning the ball over on 20.1% of their possessions, 7th in the Big Ten. Making a few three point shots would also help the cause. In the pre-game media round table, Anthony Wright let it be known that Michigan “shoots awesome in practice”. Let’s hope they start falling in Evanston. With a short turnaround from the Iowa game, it will be interesting to see how much Beilein has drawn up to face the Wildcat’s 1-3-1 zone. Michigan looked like they had never faced a zone before and it would be disheartening to see them come out as ill-prepared as the last time around. Vegas likes Northwestern by 2 while Pomeroy gives Michigan a 39% chance at the upset and takes Northwestern by 3. Michigan is capable of winning this game but it will take discipline and execution on both sides of the ball that we haven’t seen consistently. Thoughts, discussion, and predictions about the game belong in the comments below. P.S. : It appears that Finney wing guard Isaiah Sykes still on the Michigan radar Michigan was in the house checking out Finney’s game versus Southeastern last week.